but with the development of CNC machines and UGears, they are making a comeback! 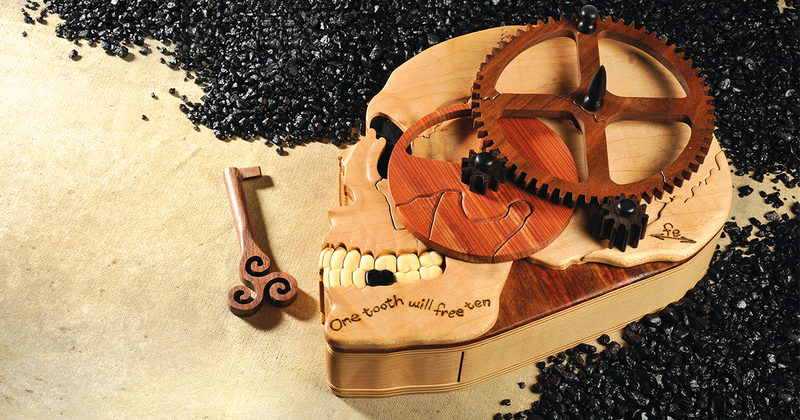 Scroll saw automata combines the art of woodworking, engineering, and science. Many woodworkers think that they are difficult to create, but with the right instructions, you would be surprised that these projects are just several layered cuts coming together to make a seemingly complex gadget. 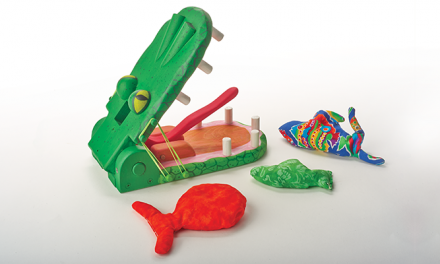 From functional projects to toys, below are five automation ideas from the new Gizmos and Gadgets Magazine to get your creativity in gear! We’ve got gizmos and gadgets aplenty! We’ve got gear clocks and puzzle boxes galore. 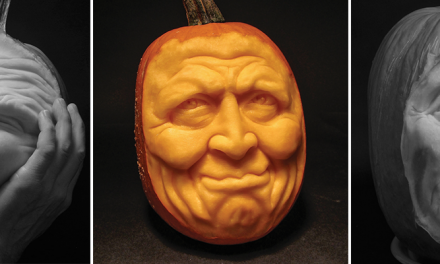 You want scroll saw woodworking projects; we’ve got 14! 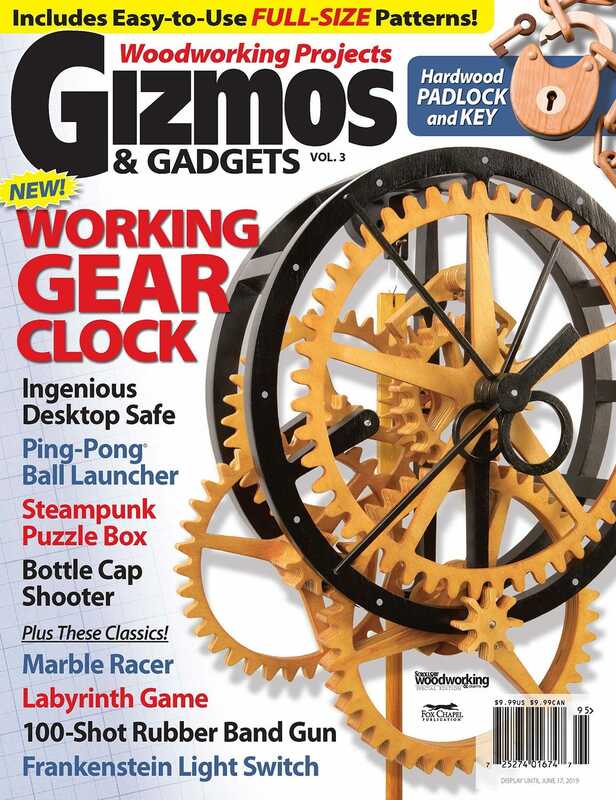 Click here to get the 2019 Gizmos and Gadgets Magazine for more automation projects and tutorials. 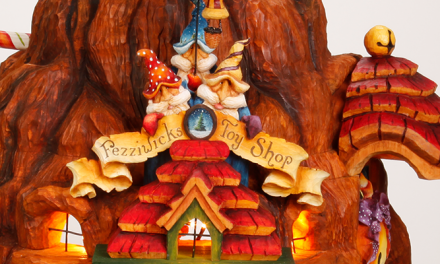 Kick your scroll saw into gear with 14 gizmo projects! 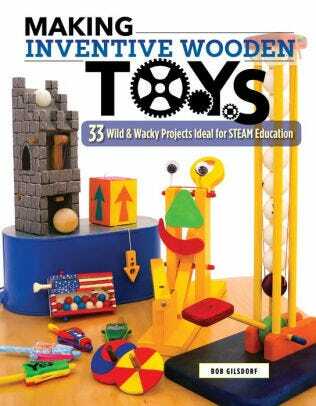 From a Rapid-Fire Rubber Band Gun to a Gorgeous Gear Machine, make amazing wooden toys, games, puzzles, locks, safes, and gadgets! 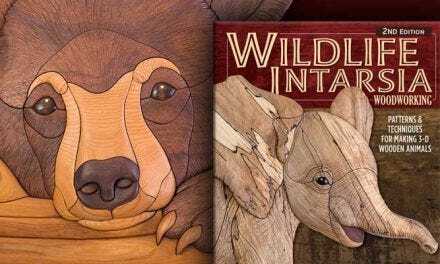 Further your scroll saw skills with 14 step-by-step projects, detailed photography, free pull-out patterns, expert tips and tricks, and more. 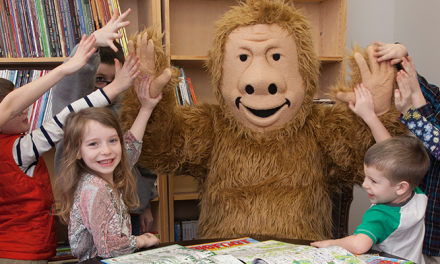 Find free online extras for action videos and additional project ideas. 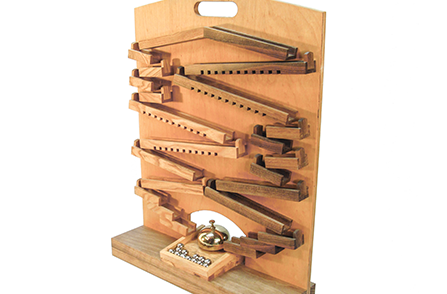 This steampunk-inspired puzzle box, John Rhyne affectionately named Gearhead, was created after he learned 3D modeling. This unique project combines the art of intarsia, wooden gears, and a basic scroll saw techniques to create a Steampunk-inspired puzzle box. Fun and functional, this scroll saw project can be built in a day. 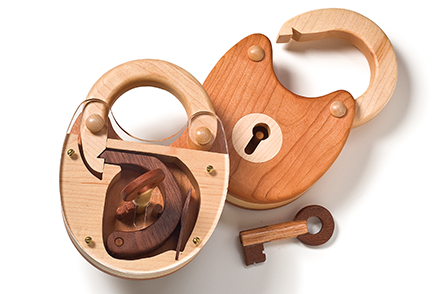 The lock is entirely made from wood – there are no metal parts. Show off the inner mechanism with a clear acrylic backing. Woodworking Adrian Iredale made this project from Radiata pine, Australian myrtle, and Australian red cedar but it can be made from almost any hardwood! Marble race toys have been around for ages, with good reason. Kids love the movement, the speed, and the noise of the clattering marbles. 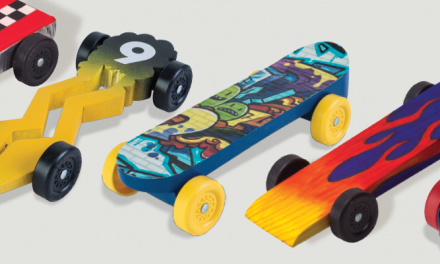 For this marble racer, the goal was to come up with a design simple enough that your child could join you in the shop for at least part of the process and, with your careful supervision, lend a hand in building the toy. Kids love to race, so this toy has two tracks. They can race against a friend or just against themselves. And if all those marbles clattering along the track don’t make enough noise, the bell at the bottom is sure to please. No batteries required. One person’s trash is another person’s ammo! What could be better than a toy with an infinite supply of flying discs? How about a toy that has an infinite supply of flying discs—and they’re all free! Finally, something to do with all those plastic bottle caps. 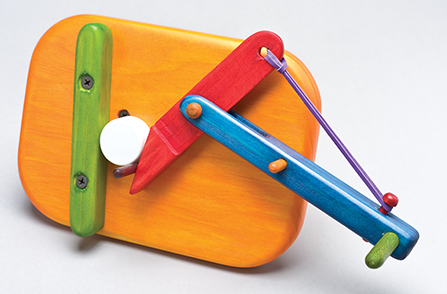 This fun and colorful project is a great way to get the kids interested in woodworking while teaching them about science and engineering! 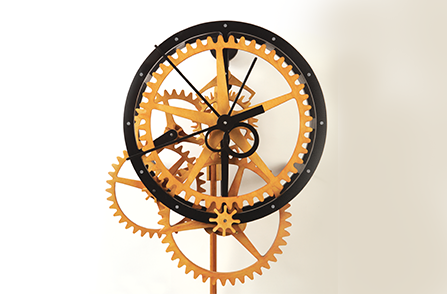 Once assembled, this wooden gear clock is an impressive work of art. When visitors discover that it runs without the aid of a battery and that you crafted it yourself, they will be truly amazed. If you can bring yourself to part with it, the MLT-13 clock makes a wonderful gift for the individual who already owns just about everything. Don’t be surprised if the completed timepiece initiates a few custom commissions! 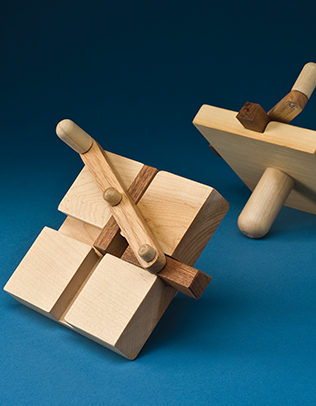 Introduce your child to woodworking with Making Inventive Wooden Toys. 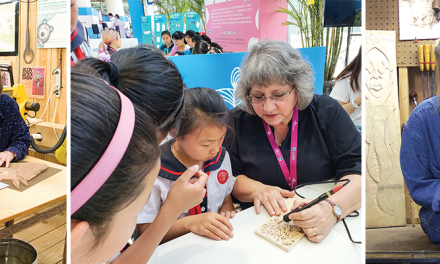 Combining art, science, and engineering, these 33 wild and wacky woodworking projects are great real-life lessons in STEAM education. 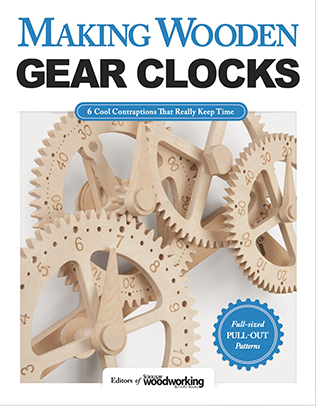 One of the most classic automation projects the wood gear clock. Whether you’re just getting started in mechanical projects or you need inspiration for your next automata, this book is a great resource with 6 timeless, in-depth projects.